Stream, charge and wake up to a multi-sensory experience withroom-filling JBL stereo sound and ambient light. 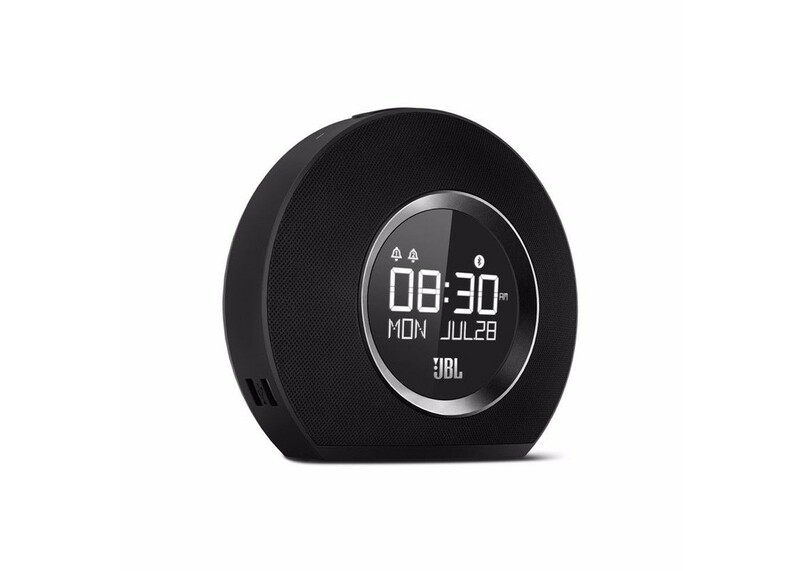 The JBL Horizon clock radio offers room-filling JBL stereo sound with wireless Bluetooth®streaming, dual fast charge USB ports, crisp LCD display and ambient light. It featurestwo alarms, with a choice of original digital alarm tones, up to five radio presets and abattery backup to make sure you always wake up on time. Its compact design is suitable forplacement almost anywhere.